Harley Bennell has praised Fremantle coach Ross Lyon for encouraging his return this season from a 720-day AFL absence. Bennell contemplated giving up this year to focus on 2018. But the 24-year-old is set to line up on the half-forward flank in the Dockers' clash with Richmond at Domain Stadium on Sunday. Bennell has been plagued by calf issues since joining Fremantle from Gold Coast at the end of 2015, with his last AFL game on August 29 that year. "I wasn't going to quit, but I was going to sit out for the rest of the season," Bennell told the Fremantle website. "But I sat down with Ross and went through a few things and I'm just happy I didn't put the boots away for the season." 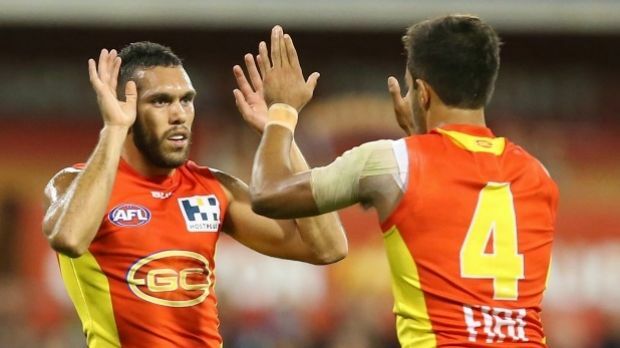 Lyon has constantly defended Bennell this season as he appeared to struggle with the long absence, finding himself in off-field trouble on several occasions. "I've had Ross in my corner from day dot, which has just been the best for me," Bennell said. "He backs me in and believes in me, so I couldn't thank him enough." Bennell has been given the green light to return to AFL ranks after making it through four WAFL hit-outs unscathed. It could be considered a risky move considering his history of breakdowns, but Lyon is confident Bennell's body will be able to hold up at the elite level. "He's overcome some significant challenges in rehab over a long period of time and it talks volumes to his character of hard work and resilience," Lyon said.